It's already week 3 of the Challenge! This week we were encouraged to make a NEW product- free or paid. Or we could finally finish one of those products that we've been working on for awhile. You know those kind... lol. Then, we had to swap products with another seller to help edit and give feedback for each other. I decided to make a pack on rounding for 3rd grade. 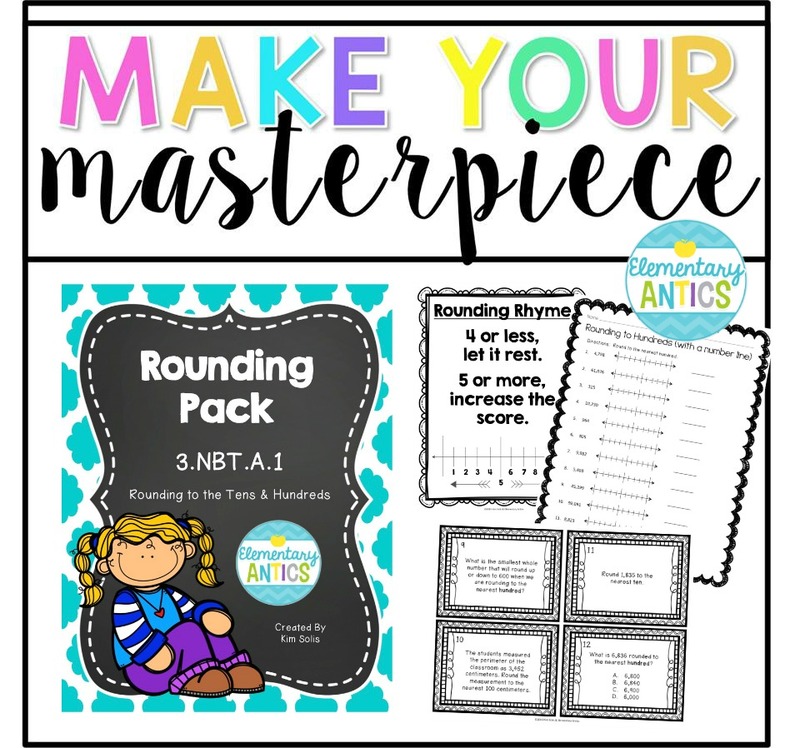 This pack has all kinds of things you need to practice rounding to the tens and hundreds with your class. There is a poster with the rounding rhyme that I always used with my class. 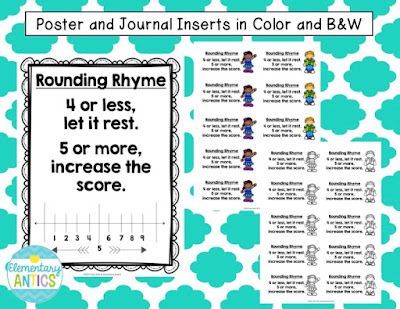 Plus, some cute little inserts with the rhyme for your kiddos to put in their math journals when they add some notes and examples. 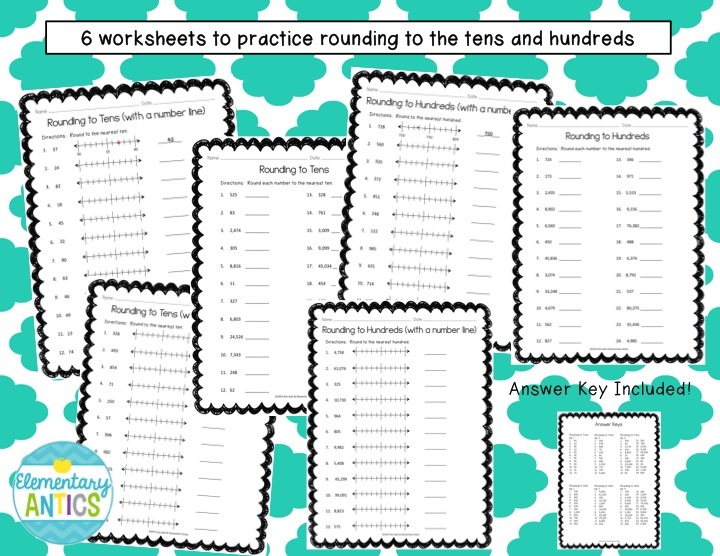 There is also 6 worksheets to help practice rounding. 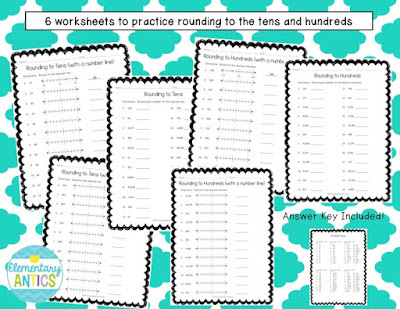 Three that practice rounding to the tens (with and without a number line) and three that practice rounding to the hundreds (with and without a number line). I included numerals up to the ten thousands in the practice. 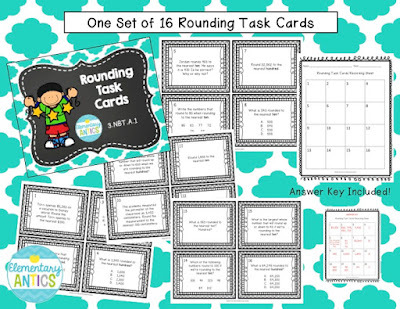 Last, there is a set of task cards that would be great for centers in your math rotations. 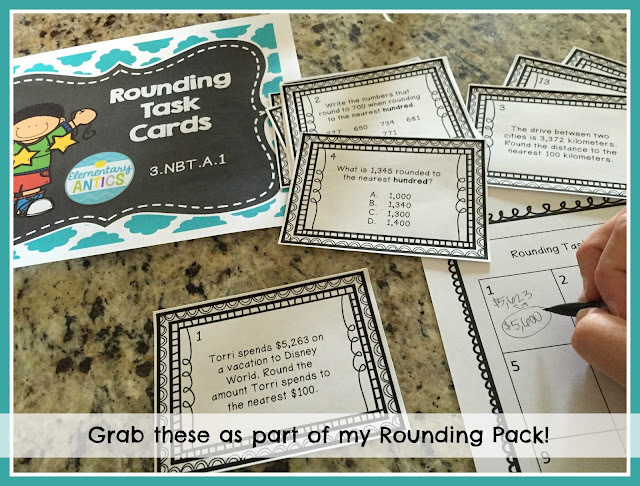 These task cards allow students to practice rounding with a wide variety of questions so that you can really tell if your students have mastered the concept. 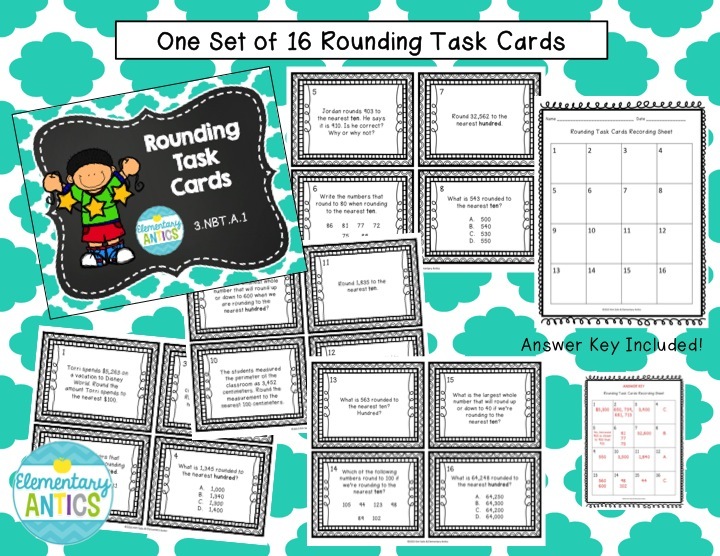 I always LOVED using task cards in my class for centers in both math and literacy, so these are just essential to me! You can grab this Rounding Pack in my TpT store for 50% off right now! Plus through July 6th it's an extra 20% off during my 4th of July sale. Awesome deal! 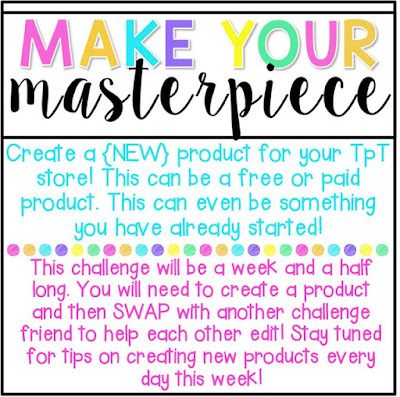 One of the best parts of this challenge, besides the new product, was teaming up with Anna from Hanging with Mrs. Hulsey to work with each other to help edit our products that we swapped. This was so awesome! I loved getting feedback from another teacher that teaches 3rd grade and making a new TpT/blog friend! Her product was an amazing product on the U.S. Constitution! It's perfect for 3rd-5th graders. I love it because overall it's colorful and has some super fun clip art that your kids will love! It also has a mini-book all about it that's black and white (excellent ink-saver! 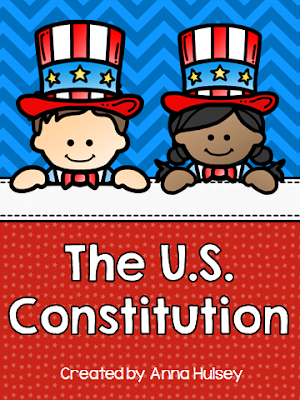 ), the Bill of Rights in some great kid friendly language and a variety of other activities to help your students learning about the U.S. Constitution. Click on the cover picture to see more in her store. We've decided to team up to give away the two products we created! Enter using the Rafflecopter below. The giveaway ends July 10th! What is your masterpiece? Link up your post at Third in Hollywood, Teach, Create, Motivate, Sparkling in Second or Peppy Zesty Teacherista! This is jam packed with goodies! Great set! Rounding is such a hard skill!